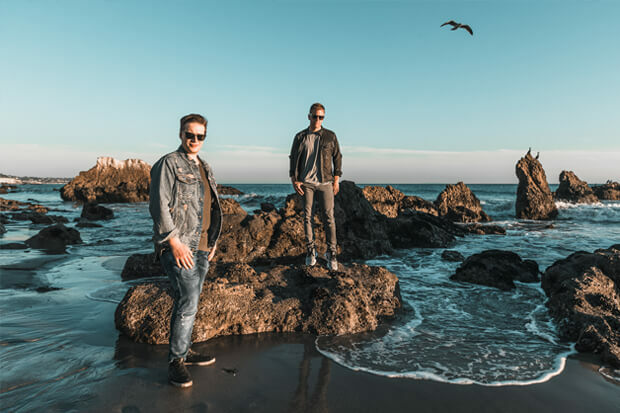 Production duo Tritonal are gearing up to roll out their third LP, U & ME, next year. Comprised of Chad Cisneros and Dave Reed, the Austin, Texas-based hitmakers provided a taste of the project with “U Found Me” last month. Boasting high-octane beats and an infectious chorus, the anthem is tailored for dance floors across the globe. Things are getting serious as the album’s release and supporting North American tour loom closer. And tomorrow (November 9), we are getting another glimpse of what to expect when it finally arrives with the unveiling of “Gonna Be Alright.” Featuring vocals from acclaimed songwriter Mozella (Miley Cyrus’ “Wrecking Ball” and Charlie Puth’s “One Call Away”), their latest feels like a crossover smash. On it, Mozella’s voice soars over vibrant synths as she makes promises to a lover. “You know that I’ll be there for you. You’ll be there for me. If you ever wanted to, we could buy a house for three,” she chants. “We could leave it all behind. Hop on the 405. Just drive, drive, drive.” Playing with concepts of unity and love, it fits well in Tritonal’s discography. Additionally, the more pop-leaning production could find plenty of love on radio in the coming months. The pair opened up about the collaboration in a statement. “‘Gonna Be Alright’ is an anthem for all of us out there who are going through something difficult or just trying to make it through our day to day lives,” they explained. We’re excited to provide an exclusive first listen to “Gonna Be Alright.” You can press play on the anthem below and pre-save it to listen on streaming services here!